This paper provides a summary of current evidence about the lives of children of parents with intellectual disability. Typically, knowledge about these families reflects a research focus on parenting by mothers who are known to social services. Parents with intellectual disability make up just 1% of the parent population (Man, Llewellyn, & Wade, 2014). Most of these parents have mild or borderline intellectual disability (IASSID Special Interest Research Group on Parents and Parenting with Intellectual Disabilities [SIRG], 2008). Such parents may never have had a formal diagnosis and may not identify with the label of intellectual disability. As such, identifying eligible parents in the community is impractical. Becoming a parent can increase the risk of socioeconomic disadvantage and social isolation faced by many people with intellectual disability (Emerson, 2007; Emerson, Robertson, Baines & Hatton, 2014). Parenting in disadvantaged circumstances and without sufficient support explains why families headed by parents with intellectual disability, though small in population terms, are found in most social service caseloads (Llewellyn & Hindmarsh, 2014). The author and Llewellyn conducted a comprehensive review of evidence about the lives of children of parents with intellectual disability. The review found that 85% of studies examined the likelihood of developmental delay, child removal, and abuse and neglect (Collings & Llewellyn, 2012). In relation to development, the research does not confirm a risk of poorer outcomes. However, these studies primarily focused on early childhood, and knowledge about long-term educational outcomes is limited. Secondary analysis of population data in the United States has reported that these children completed less education, and that their parents had lower educational expectations for them (Lounds Taylor, Doescher Hurd, Seltzer, Greenberg & Floyd, 2010). Available evidence indicates that some children may face psychological or behavioural difficulties. Some studies have suggested that boys are at greater risk of behaviour problems than girls (Feldman & Walton Allen, 1997; Perkins, Holburn, Deaux, Flory & Vietze, 2001), but this was not confirmed in later research (Aunos, Feldman & Prasad, 2008). Behavioural difficulties appear to increase as children get older, which may be due to the lack of stimulation provided at home (Aunos et al., 2008; Feldman & Walton Allen, 1997). Stigma related to maternal intellectual disability was found to negatively affect the quality of the mother-child relationship (Perkins et al., 2001). O’Neill (1985) examined the psychological adjustment of 19 school-aged children and found that most were well adjusted. Some children experienced role reversal and others over-identified with their mother, both patterns negatively affecting their wellbeing. Over twenty years later, O’Neill (2011) conducted a follow-up study with now adult children from her earlier study and reported that the rate of positive adjustment for the group as a whole was higher in adulthood than in childhood. Collings and Llewellyn (2012) argue that the depiction of this group of children as being ‘at risk’, reflected in a research preoccupation with the risk of negative outcomes, itself poses a serious risk for them. Research over 25 years has consistently found that these children are overrepresented in child removal cases, with 40-60% of children removed from parental care. This risk has been found to exist even when child protection allegations are not substantiated (McConnell & Llewellyn, 2000) and has been linked to discriminatory attitudes of judges and child protection workers (McConnell, Llewellyn & Ferronato, 2006; Ward & Tarleton, 2007). Closer inspection of the evidence makes clear that the risk of neglect and abuse in these families cannot be easily disentangled from contextual factors related to disadvantage (Collings & Llewellyn, 2012; McConnell, Feldman, Aunos & Prasad. 2011). As is now well established, these mothers have small social networks that are composed mainly of family members and formal services (Llewellyn, McConnell & Bye, 1998; Llewellyn & McConnell, 2002; Stenfert-Kroese, Hussein, Clifford, & Ahmed, 2002). Many single mothers without family support are reliant on formal services and, since these are often time limited, have less enduring social networks. In short, many mothers with intellectual disability raise their children with insufficient support and inadequate resources: factors associated with a risk of neglect and abuse (McConnell, Feldman, Aunos & Prasad. 2011). Studies demonstrate that social isolation is associated with reduced parenting capacity in these families (Hindmarsh, Llewellyn & Emerson, 2015; Llewellyn & Hindmarsh, 2015). Social isolation increases maternal stress, and this has been associated with increased behavioural problems for school-aged children (Aunos et al., 2008; Feldman & Walton Allen, 1997). Social support directly impacts the parenting practices of mothers with intellectual disability by improving maternal mental health (Wade et al., 2011). Parenting efficacy and maternal warmth has been associated with positive emotional and behavioural outcomes for their younger children (Wade et al, 2011). Social support also influences the kind of home environment that mothers provide for their children. Mothers who don’t have enough support or live in highly disadvantaged neighbourhoods may provide a less stimulating learning environment for their children (Aunos et al., 2008; Wise, 1997). Only a small number of qualitative studies have explored childhood experiences, and these are predominantly retrospective studies (Booth & Booth, 1998; O’Neill, 2011; Ronai, 1997; Traustadóttir & Sigurjónsdóttir, 2005). In general, they highlight the central role of extended family in creating childhood stability (Booth & Booth, 1998; Traustadóttir & Sigurjónsdóttir, 2005). However, some studies indicate that these children faced socially isolated childhoods (O’Neill, 2011; Ronai, 1997). Most studies report that school-aged children of mothers with intellectual disability may face stigma, bullying and ostracism (Booth & Booth, 1998; Faureholm, 2010; O’Neill, 2011; Ronai, 1997). Across all studies, adult children talked of their enduring bond with their parent, which withstood even forced separation. Being retrospective accounts, however, these studies present a perspective of childhood that is inevitably coloured by the passage of time. Only two studies have explored contemporaneous experiences of childhood. The first, a Danish study (Faureholm, 2008, for which a summary is available in English) followed 23 children through childhood and adolescence to explore their experience of growing up with a mother with intellectual disability. Older children reflected that their first experience of stigma coincided with starting school. Negative peer attention was attributed to their poor hygiene or failure to complete homework on time. Unconditional maternal love was identified as providing security in the face of social difficulties. Children gave conflicting accounts of extended family involvement in their lives depending on their age. Younger children felt that family members played an integral role in their lives whereas some older children resented the inadequate support given to their mother by her own family. The author conducted the second study in New South Wales, Australia to understand how children of mothers with intellectual disability viewed their social experiences (University of Sydney Human Research Ethics Committee: No. 07-2008/11006). Four boys and three girls aged between seven and eleven years took part in semi-structured interviews over the course of a year. A narratives approach was used to interpret the stories children told about their lives. The results showed that home was a key environment that shaped children’s social experiences at school, with peers and in the neighbourhood (for overall findings see Collings, 2014). A stable home environment promoted optimism for children that they would have rewarding encounters beyond the home. Two factors created a stable home foundation; the presence of clear and consistent rules and routines, and support from another adult apart from their mother. Adults who provided children with social support helped to them to engage in activities and interactions that promoted new skills and mastery, such as through team sports or hobbies. Their role was particularly influential for children from homes that lacked informal support, as they might otherwise have lacked these opportunities. Several previous studies have explored informal support in the lives of mothers with intellectual disability (Ehlers-Flint, 2002; Llewellyn & McConnell, 2002; Traustadóttir & Sigurjónsdóttir, 2008). To date, however, little is known about the influence of informal support in the lives of their children. This gap in knowledge has potentially far-reaching consequences since children in many such families are growing up with inadequate informal support and gaining an understanding of their social support needs would enable better targeting of service responses. Adults that a child perceived to be a source of support included, unsurprisingly, a parent or female family member. More unexpectedly, a social service could perform this role and, if children perceived these services as supportive, could compensate for a lack of informal support. Most children were engaged to some degree with social services in their lives. However, the engagement tended to be focused exclusively on mothers, not children. Only two children viewed professionals or volunteers connected to these services as part of their support networks. To be effective, the formal service must focus on the child’s needs, abilities and aspirations as distinct from those of the mother. However, it is not enough that formal services are child-focused; they must also be connected to the home and mother if they are to foster an enduring supportive connection with a child. This paper provides a brief overview of evidence about the social context for children of parents with intellectual disability. The research highlights that these children frequently grow up in disadvantaged and socially restricted homes, and face ostracism, stigma and the risk of removal. Although developmental, behavioural and maltreatment risks have been identified, it is difficult to disentangle these from a disadvantaged home environment. Social support can positively influence their social experiences and may come from formal sources, such as social services. Ehlers-Flint, M. (2002). Parenting perceptions and social supports of mothers with cognitive disabilities. Sexuality and Disability 20(1): 29-51. Faureholm, J. (2010). Children and their life experiences. In G. Llewellyn, R. Traustadóttir, D. McConnell & H. B. Sigurjónsdóttir. (Eds.). Parents with intellectual disabilities: Past, present and futures (pp. 63–78). West Sussex, UK: Wiley-Blackwell. doi:10.1002/9780470660393. Feldman, M., & Walton-Allen, N. (1997). Effects of maternal mental retardation and poverty on intellectual, academic and behavioural status of school-age children. American Journal on Mental Retardation, 101 , 352 – 364. Llewellyn, G., McConnell, D., & Bye, R. (1998). Perceptions of service needs by parents with intellectual disability, their friends/neighbours and their service workers. Research in Developmental Disability, 19(3), 245-260. Traustadóttir, R., & Sigurjónsdóttir, H. B. (2005). Adult children of mothers with intellectual disabilities: Three life histories. In A. Gustavsson, J. Sandrin, R. Traustadóttir, & J. Tøssebro (Eds.). Resistance, reflections and change: Nordic disability research (pp. 147–161). Lund, Sweden: Studentlitteratur. Wade, C., Llewellyn, G., & Matthews, J. (2011). Modelling contextual influences on parents with intellectual disabilities and their children. American journal on intellectual and developmental disabilities, 116(6), 419-437. doi: 10.1352/1944-7558-116.6.419. Wise, L. (1997). Low income mothers with and without intellectual disability: Interactions in contextual environments. Unpublished doctoral thesis. Graduate Nursing School: Birmingham, Alabama. 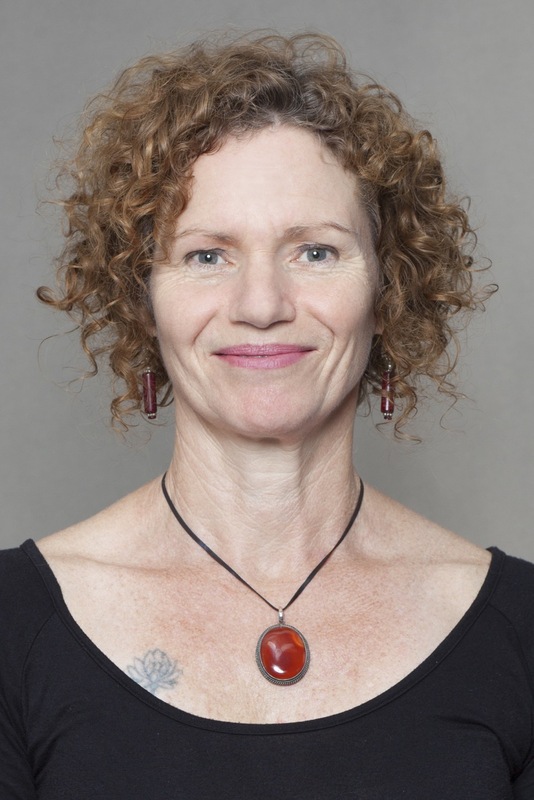 Susan Collings is a disability scholar whose research is informed by a practice background in community case management and child and family support services. Her doctoral thesis used an ecological lens to explore the lives of school-aged children of mothers with intellectual disability from a child perspective. Susan’s research contributed to knowledge about the influence of parental disability, disadvantage and marginalisation, on children’s everyday lives. She has attracted an international research audience and contributed to disability sector improvements in Australia. Parenting with intellectual disability remains a key research interest, along with innovative disability support models and qualitative research designs. Susan is committed to improving knowledge translation to narrow the research-to-practice divide.